Quick Take: This retro-inspired refresh of the Ducati Scrambler Icon is beginner friendly and great for everyday riding. Impressively, it's also the first middleweight classic bike to incorporate a cornering ABS system for under $10,000. Originally conceived in 1962 and reintroduced to the world in 2014, the Ducati Scrambler lineup of motorcycles served a simple yet revolutionary goal for the Italian motorcycle based company: To capture the hearts and minds of young riders looking to express themselves. Riders who are aficionados of culture, travel, music, cinema, art, photography, and adventuring; riders who want their bike to serve as a vehicle for exploration and self-expression. In the past four years, Ducati has been successful in their gamble. 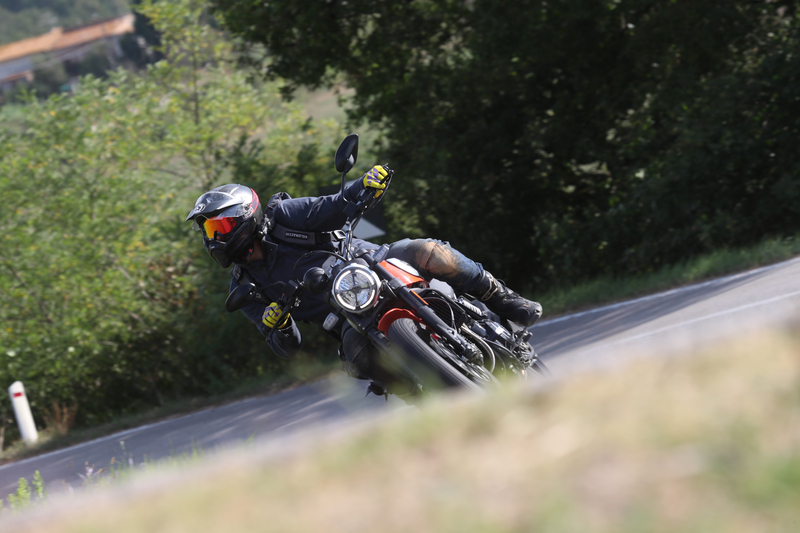 The Ducati Scrambler line of motorcycles has become the world's tenth best-selling bike over 500cc, with more than 55,000 Scramblers sold worldwide last year. It now accounts for nearly a third of the company's overall sales. 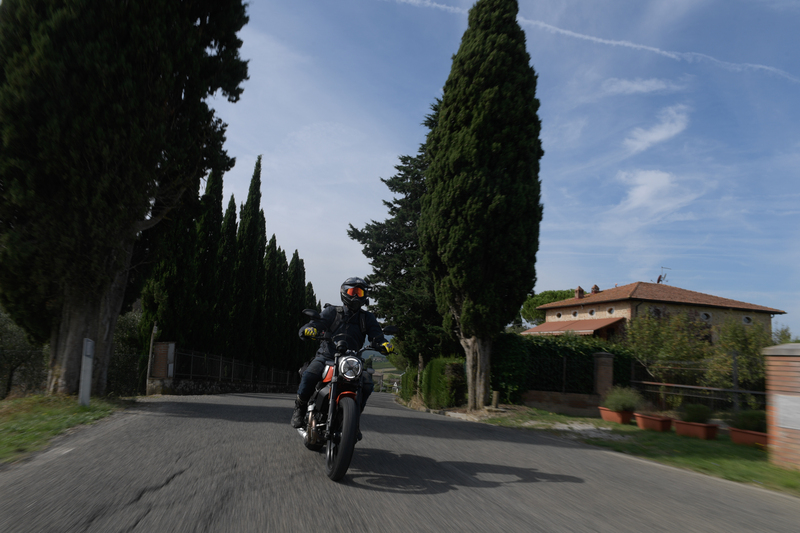 Following up on that success, Ducati has upgraded the Scrambler Icon for 2019, and it invited The Drive and a few other outlets to decamp to Tuscany and experience the difference in person—that, and a whole lot of pasta. So what's new with the Icon? Let's dig in. The biggest addition to the Scrambler Icon is a dual-channel Bosch Cornering ABS. This is the first time that a motorcycle under $10,000 has included such safety technology standard, and it's also the first time that kind of advanced protection can be found on a middleweight, retro-inspired bike. Cornering ABS works by measuring velocity, lean angle and a number of other factors to enable a motorcycle to maintain traction in a turn when brake pressure is applied. Imagine going hard on the brakes while leaning on a motorcycle—it's a recipe for disaster and a common mistake made by a lot of novice riders. 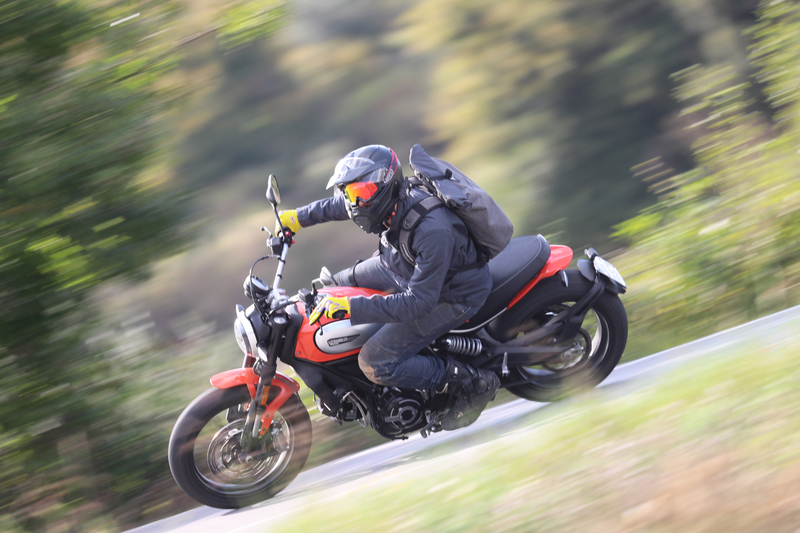 The Bosch system on the Scrambler Icon essentially prevents riders from tucking the front wheel and crashing. It’s not 100 percent foolproof, but it’s damn near close. I thought to myself, if this doesn't work I'm going to have a ton of photographic evidence of me wadding up a bike. But It's trail braking for dummies, and it works incredibly well. Let me sing its praises a little more here. In the middle of a sweeping 45 mph turn, I took a breath, overrode my developed skills, and stabbed at my front brake just as novice rider might do if startled by something unexpected. This action on any other bike without the system would have folded in the front tire and ended my day of riding. But on the Scrambler Icon, the system recognized what I had done and intervened within milliseconds. My turn radius tightened a touch as the system determined how much brake pressure could be allowed while fully maintaining traction, but it worked exceptionally well. I repeated this experiment fifteen more times with equal success. As an experienced rider and motorcycle instructor, I firmly believe this technology should never take the place of learning proper riding mechanics, but it does serve as a perfect safety net for the less-experienced. 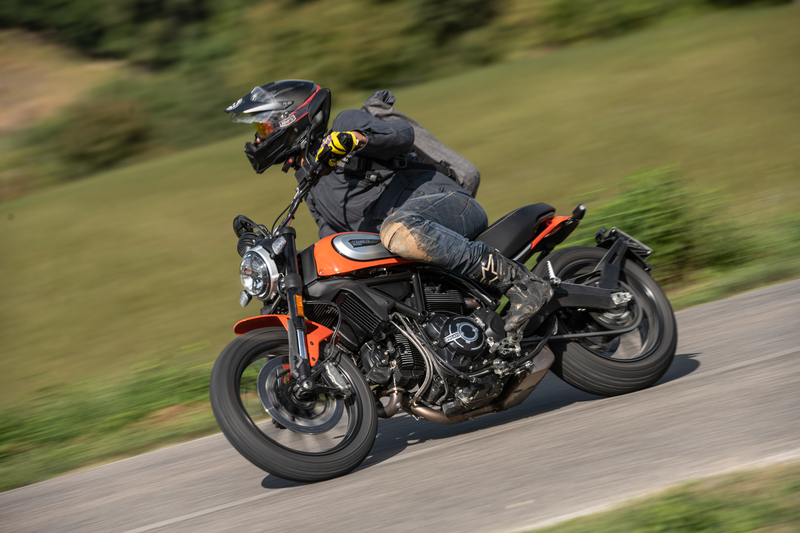 I applaud Ducati for making it standard on future Scrambler models, especially considering that until recently cornering ABS was only available on high-end, performance-oriented sportbikes and adventure motorcycles. While the Scrambler Icon is nothing to write home about from an outright performance perspective, it is a monumentally fun bike that enables adventure, inspires confidence and oozes visual appeal for a new generation of motorcyclists. Without a doubt, I had a blast ripping around Italy on it. Through the back roads of Tuscany, our ride was mostly tame with an occasional bout of aggressive riding and a wheelie here and there. Tuscany looks like California with 1500-year-old buildings, and I felt right at home on the roads. The Scrambler Icon makes for a spirited ride through the countryside and a practical everyday commuting motorcycle. Though the Scrambler Icon comes in at a wet weight of 417 pounds, it feels more like a bicycle with an engine attached due to its narrow fuel tank and wide set handlebars. This in conjunction with an upright riding position inspires a lot of confidence in the overall handling whether cruising at highway speed or pulling tight circles in parking lots. Even as one of the tallest motorcycle journalists in North America (6’5’”), I have to say I was plenty comfortable on the Scrambler Icon. One of my favorite things about the Scrambler Icon is the ability to move around on the bike. Comfort and ergonomics have been improved (even for taller riders) and there is great fun to be had with this retro middleweight. The upgraded Kayaba suspension system on the Scrambler has been recalibrated to pull double duty and provide riders with comfort at cruising speeds and a stiffer ride when pushed harder into corners. Feedback from the 41mm upside down forks and adjustable monoshock is still a little bouncy in the curves, but then again I didn't have time to fully adjust the rear monoshock for someone of my heft. I expect for most riders, especially new ones, it will be perfectly sufficient for everyday riding. Braking comes courtesy of Brembo, with a 4-piston M.4.32 radially mounted monobloc up front chomping down on a 330mm single disc and a 34mm single piston on a 245mm disc in the rear. At causal speeds, brake feel is perfectly acceptable but once you get the bike moving with aggressive intent, they begin to feel a bit wooden under hard application. For taller riders, the lower footpegs, narrow tank, and wide set handlebars make the Scrambler Icon an approachable everyday bike. But Does It Scramble Off Road? I'm pretty sure this wasn't part of the official Ducati program, but I took the Scrambler Icon off the beaten path thinking it would take me back to the resort after stopping for a routine photo shoot. Upon realizing that the trail was actually descending lower into the valley, I turned around and delightfully bounced the Scrambler Icon over a number of rocks, tree roots, and deep ruts in the landscape as we climbed back up the hill. The chunky Pirelli MT 60 RS tires handled adequately off-road for my quick little trip. Those with true aspirations of scrambling are going to want to opt for something more aggressive. The Icon never missed a beat, though. With the new, easy-to-pull hydraulic clutch, maneuvering slowly and crawling the bike over obstacles was a cinch. That was the moment the Icon really began to win me over. It’s a beautifully capable and fun lifestyle bike that lives up to marketing hype, possessing just enough Ducati performance DNA. It makes me excited to see what the next Desert Sled will be like when it comes out. I have a few small gripes about the bike, but I had a hard time justifying any of them because they went to the wayside after having so much fun. Many of these little issues could be fixed with a simple aftermarket modification like axing the stock mirrors in favor of some bar end mirrors, installing slightly larger foot pegs, and adjusting the play in the throttle to make it a touch more responsive. The engine still gets a tad too hot and will make you a little uncomfortable on days when the mercury is above 85 degrees. Also, the foot pegs are a little too low. There were several occasions where I was gently reminded to get on the balls of my foot in deeper turns because my yeti-sized boot was scraping the asphalt. The 803cc Desmodromic air-cooled L-twin is tried and tested but you will notice the heat coming off of it on warmer days. The high pipe doesn't help matters either but it looks really cool. Ducati continues to emphasize safety for riders by adding a rather bright and noticeable Daytime Running Light LED around the headlamp, along with LED turn signals that have been homologated for the U.S. market. No longer will Americans buy this bike with dopey antiquated turn signals. While these might seem like cool accents, the use of LEDs also boost visibility to others and that’s a big help for those looking at this bike for daily commuting. The menu switches for the LCD instrument panel are the same ones found on the Scrambler 1100 and make it easier for the rider to scroll the LCD instrument menu. However, with no ride modes or traction control, it’s only used to move through the basic menu which now includes a fuel gauge and gear shift indicator. Sadly, that reverse tachometer still exists. The retro-inspired gauge comes with a gear indicator and fuel gauge. Sadly, the reverse digital tachometer still remains. The previous model Scrambler Icon seat was deemed too firm by many and was prone to smashing sensitive areas into the tank now and again. To enhance rider comfort, Ducati created a wider and more bench-like seat that sits 8mm higher than the previous generation and includes more padding. Is it better? From my perspective, yes. I found it plenty plush for the hours we had in the saddle and well shaped for moving around on during cornering maneuvers. For riders looking to take advantage of that and venture beyond home for a day or two, Ducati has fitted the rear subframe with a top case luggage rack option and hook points for travel straps. 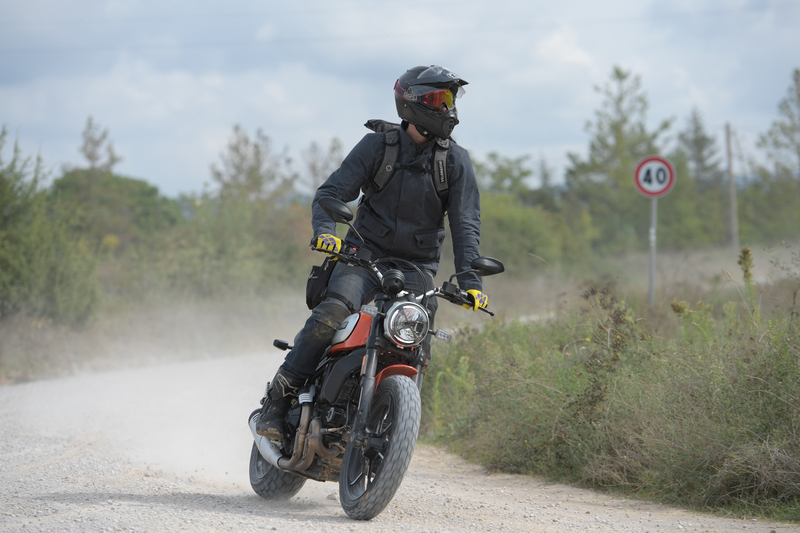 To capture the hearts and minds of the connected generation, the Scrambler Icon is also outfitted with the Ducati Multimedia System. This enables riders to link their cell phone to the bike, see what they are listening to, obtain text and call notifications, or chat with their passenger. While this is a cool feature, I didn’t have the occasion to really explore it. If you’re hoping for this bike to come in neutral boring colors then you’re out of luck, and possibly out of your mind. 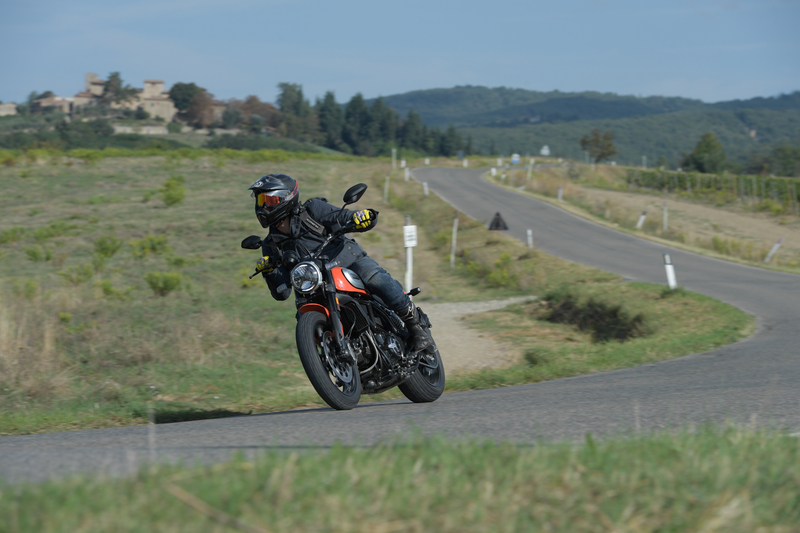 The 2019 Ducati Scrambler Icon will be available in Q1 of 2019 and comes in only two colors: ‘62 Yellow with black frame and black seat with grey trim ($9,395) and Atomic Tangerine with black frame and black seat with grey trim or in classic ($9,595). Who Is the Scrambler Icon For? The Scrambler Icon is an excellent middleweight bike for new and intermediate riders who are looking for a motorcycle that’s great for everyday use and getting out of town on the weekends. With a combination of advanced safety features, updated ergonomics, and aesthetically pleasing upgrades, it's an undeniably solid choice for under $10,000. Ducati is doing what Harley-Davidson wishes it could do right now: appeal to younger generation of riders. They’ve done this by creating an entirely separate brand within the brand, all without losing sight of who they are and where they’ve come from. Ride the Scambler Icon to the land of joy, where youth and honest motorcycling reign. Editor's Note: Sam Bendall is The Drive’s motorcycle-obsessed contributing writer. He rides, tests, and lives a life on two wheels. His goal is a simple one: expose everyone to the wonderful world of motorcycles and get them out there riding. Sam is based out of Los Angeles, California and his editorial judgments and opinions are his own. Look out Ducati, BMW, and Triumph. The Husqvarna Svartpilen 701 is coming for your Pabst Blue Ribbon-drinking, latte-sipping motorcycle hipsters.